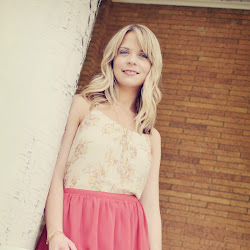 Thank you all for your sweet comments yesterday on my one year blogging post. You all have made me feel so loved and appreciated. I have not been posting much the past week. No real reason... just taking a break and enjoying some time for me. So, of course I got sick again. My third illness of the winter. I have had a stomach bug, a cold, and now I have some wonderful combo of cough/head congestion/runny nose. Oh my. We are loaded up on sick stuff - tissues, medicine, vitamins, and cough drops. 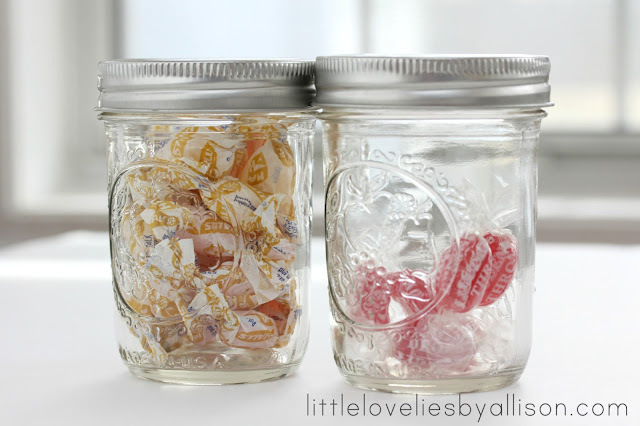 I hate the way all that stuff looks cluttering up the counter, so I threw the cough drops in a couple of jelly jars. They look much cuter this way, don't you think? And can you tell which kind of cough drop I prefer? The candy-like Luden's have been about all I can stomach the past few days. I fell asleep with a Hall's in my mouth Friday night and it was not pleasant to wake up to. After having Hall's goop plastered on the inside of my cheeks and teeth, I just can't stand the taste any more. How's that for a random, why-did-she-even-tell-me-that story? Onto (hopefully) more interesting things. 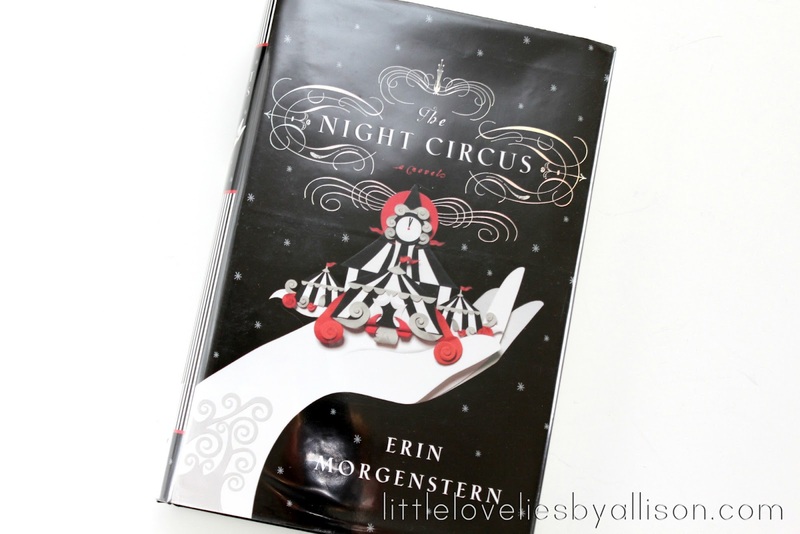 I've been reading The Night Circus. It is a really imaginative, interesting book, but I am finding it a little slow moving in parts. So far, I like it? I'm not sure yet... You can check out the synopsis on Amazon, since I am not really sure how to explain the storyline. It is making me think and stretch my imagination, which I am enjoying. 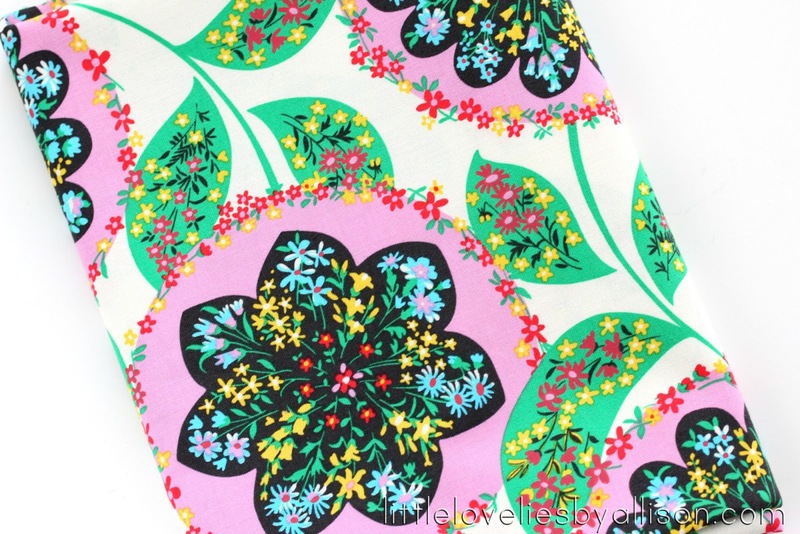 It's the new Amy Butler fabric I have been eying. I don't know what I am going to make yet, but I just had to get it to have it in my possession. It makes me wish for spring. In mail related news, I got a new phone case I ordered a couple weeks ago from Society 6. I do love the feathers and the white background with my white phone. It's such a pretty little thing to look at all day long. So, that's about it around here. Coughing, reading, fabric, and a phone case. I also started another cross stitch project and have a couple of craft things I am working on. Nothing too exciting, but it has been a nice week "away". I feel refreshed and ready to get creating. Once I can breath through my nose again I will be unstoppable. All the fabric is lovely! I hope you feel better soon. Sorry you have been under the weather. There has definitely been some nasty colds and viruses going around our area too. I feel like I dropped $100 on medicines, cough drops, etc recently. Not fun! Such pretty fabric! I'm heading to a sewing shop tomorrow that I've never been to before -- can't WAIT to touch and see all the fabrics and peep their sewing machine selection. LOL re: unstoppable once you can breathe through your nose. You're too much. 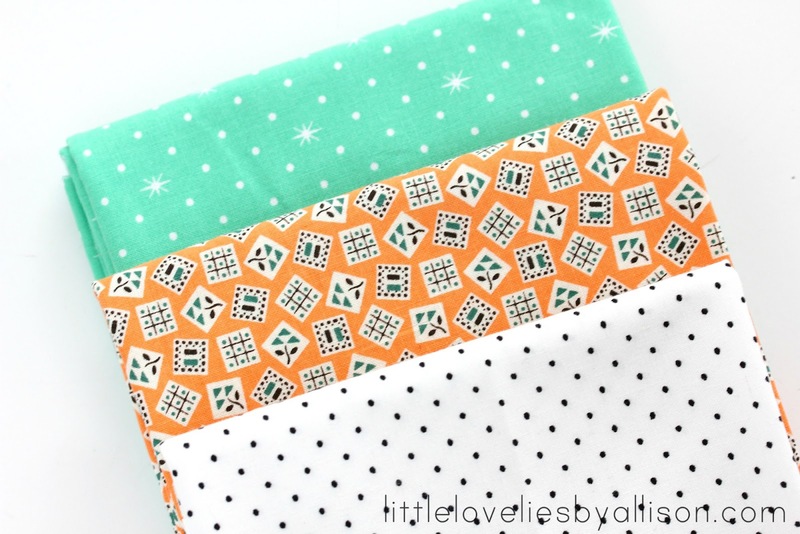 I'm glad you got your pretty Amy Butler fabric! Did you go to Jackmans? They have a lot of Amy Butler. I miss that place! I hope you feel better soon! Awe, I hope you feel better soon. 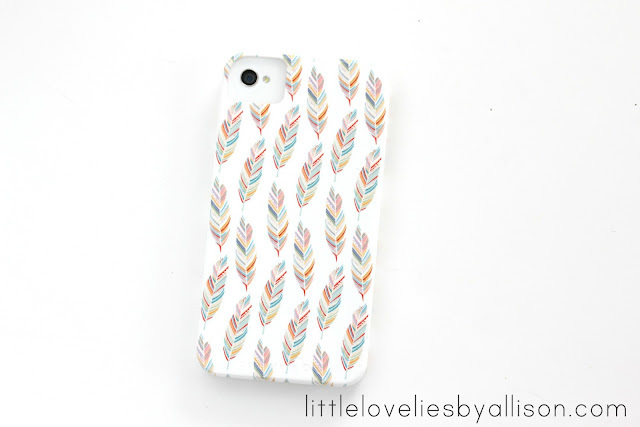 That Iphone case is sssooo adorable. Your blog always makes me want to go to the craft store by the way. Feel better!